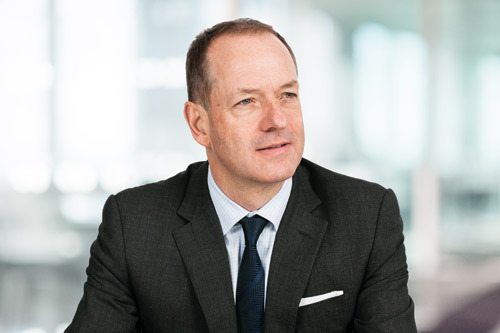 GlaxoSmithKline has confirmed that chief executive Sir Andrew Witty intends to retire next year, leaving a position he has held since 2008. The announcement comes after months of speculation about Witty's position at the UK-based pharma giant, which has gone through a difficult period punctuated by pressure on sales of its respiratory drugs, a corruption scandal in China and slower-than-hoped growth for new products. Commenting on the succession plan, John Lyon of Warwick Business School - a pharma industry specialist - said that the announcement is "no surprise" and GSK "has not in recent years returned the results that many investors were hoping for and, along with its challenge in China, appears sleepy." GSK's chairman Sir Philip Hampton said the company will now conduct a formal search for a successor and will consider both internal and external candidates for the role. "By next year, I will have been CEO for nearly 10 years and I believe this will be the right time for a new leader to take over," said Witty, who noted that the 12-month period before the handover will allow the company to build on the progress it has made in the last year. The company has been working to reduce costs - particularly in R&D - and has reduced the headcount at the company from 12,000 to around 8,500 since Witty took the helm. Last year it completed the swap of a portfolio of cancer drugs for Novartis' vaccines business, and set up a consumer health joint venture with the Swiss pharma group. Meanwhile, GSK has also said that new products - such as severe asthma therapy Nucala (mepolizumab), sirukumab for rheumatoid arthritis and shingles vaccine Shingrix - could add at least £6bn to its sales by 2020. "In making this decision it has been important to me that the board have the time to conduct a full and proper process and that we sustain the momentum of our current business performance, capitalising on the very significant progress we made last year to strengthen the group," said Witty. "By doing so we will strongly position GSK to achieve the medium-term outlook set out to investors last year and deliver a return to core earnings growth in 2016." There have however been repeated suggestions that the company should consider more drastic measures, such as the outright divestment of some divisions to trim down its focus. In particular some investors have suggested GSK's consumer health operations could be hived off and would thrive as an independent business. Earlier this year, fund manager Neil Woodford reiterated calls for the company to be broken up, saying: "All four of GSK's major component businesses could be FTSE 100 companies in their own right, and we strongly believe that any future break-up would unlock considerable shareholder value." Woodford said yesterday that an outsider should be brought in to run GSK.